Alameda, Calif., Aug. 30, 2017 — Jitterbit, the API transformation company, today announced important milestones for the first half of the 2017 fiscal year, including the addition of a record-setting number of new customers. Revenue from new customers was also the highest in company history for the period from May through July. 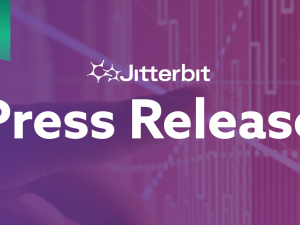 Jitterbit supported this momentum through important organizational enhancements this year, with a new senior vice president of products and new vice president of customer success, while continuing to deliver innovative new products and earn industry awards. An impressive collection of marquee customers from a range of industry verticals have adopted Jitterbit’s API integration platform in 2017 to drive their digital transformation, including 3D Systems, Allstate Insurance, Blink Mobile, Cornell University Business School, Delicato Family Vineyards, FinancialForce.com, Rutgers University, and United Way. Jitterbit also saw its greatest ever revenue from customer renewals as well as customer expansions in the second quarter. With such a large portion of Jitterbit users extending their subscription, buying additional solutions, and expanding deployments, Jitterbit’s net retention rate now stands at an impressive 105 percent. To support the company’s momentum, Jitterbit added important strategic positions to ensure continued product innovation and customer success. Betsy Bilhorn now serves as Jitterbit’s senior vice president of products, drawing on her successful record of conceptualizing, developing, and driving successful SaaS, cloud and platform products. Philippe Turpault was brought on this year to serve as vice president of customer success, working to proactively drive increased adoption of Jitterbit solutions by delivering increased value to existing customers. Earlier this year, Jitterbit announced Simon Peel as chief marketing officer, leading the corporate growth strategy and marketing worldwide. New products and partnerships also propelled Jitterbit’s growth and financial success throughout the first half of the fiscal year. In May, Jitterbit released a major expansion of its Duet integration solution in partnership with Endowance, adding new capabilities to meet rising demand from manufacturers to seamlessly connect on-premise and cloud applications. 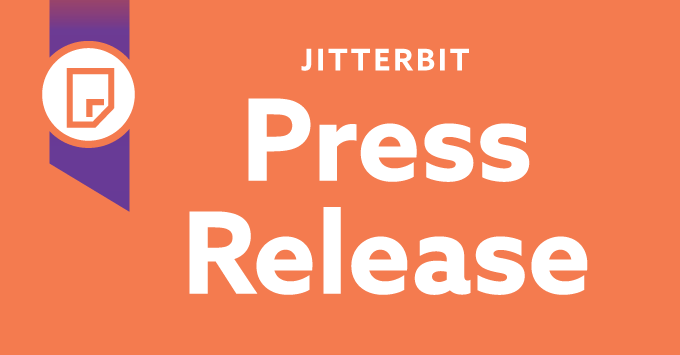 The recent launch of the Jitterbit Community underscored the company’s continued effort to push the envelope on what’s possible in business transformation through integration and APIs, with a collaboration platform that empowers users and partners to solve integration problems, develop solutions faster, and share best practices. Finally, the first half of the 2017 fiscal year brought more industry recognition and awards for Jitterbit, which was recognized for the second straight year as a “leader” in the Gartner Magic Quadrant for Enterprise Integration Platform as a Service report. The company also earned two Stevie® Awards for “best new product of the year” and “customer service department of the year” at the 15th Annual American Business Awards event, and was named a 2017 SIIA CODiE Awards finalist in the Best Application Programming Interface (API) Management Platform category and the Best Data Integration Solution category.